Well this reduced me to tears just now. I read this to Mom on the phone and couldn't finish it. The Shelsons are the silver lining to FA. The silver lining being the great people who we've met because of you, or who are part of this terrible fraternity. I cannot be happier for Aaron and his family, but reading this allowed me to think the "what if" you had made it thoughts that I don't think about much any more. The part that killed me was the "walking through the New Hampshire woods, seen whales..." part. I have written to you how I wanted to celebrate you "making it" by walking all or part of the Appalachian Trail with you. Then there is the trip to go whale watching that we had to cancel because you got too sick to go. I actually made reservations for Mom, me, Jack and Joe to go whale watching this summer off Cape Cod. We are going to pick up Jack from camp (he is going for 2 months this summer!) in western Massachusetts and then we'll head east to Provincetown and go out on a boat. 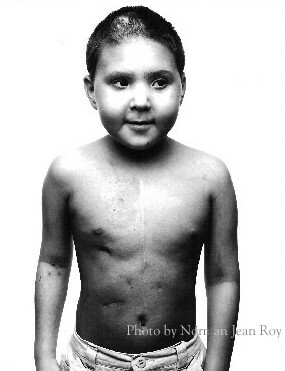 Aaron celebrated his 7th rebirthday this past weekend having had an unrelated transplant in Minneapolis. He was discharged from the hospital on Day 20, readmitted briefly around day 25, discharged on day 28. Around day 100, we were headed home to Toronto. Since transplant, he has visited Newfoundland, got a Dutch sheepdog (big mistake! ), eaten caribou, flown to Iceland, walked through the New Hampshire woods, seen whales, met his donor, eaten blood pudding (if you don't know what it is, you don't want to), climbed a volcano, read all the Harry Potter books, played with a crab in a tidal pool in New Brunswick, ridden Splash Mountain (but didn't enjoy the fast part), hung out with Bill Cosby (they go way back), seen the original geyser (called Geysir), been up close and personal with a moose, had cataract surgery, gone swimming, seen Billy Elliot on Broadway, memorized all the songs in Sweeney Todd (the stage musical and the movie), started riding the subway home from school and much, much, much more. Aaron is now a grade 11 high school student. He has been in several school drama productions and studies improv. at Second City's training centre here. He plans on becoming an actor. He will be a great one.